The Perceived Problem: Self-employed mortgage applicants face greater obstacles in obtaining competitive financing. 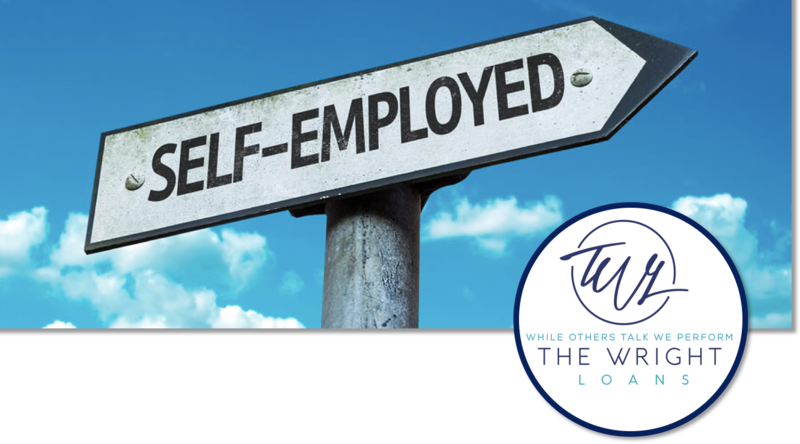 Many self-employed workers earn a good living, but without a regular paycheck to depend on, these workers might have a harder time proving their income than those who receive a W-2. This makes it more difficult to obtain a mortgage but buying a home with a mortgage is possible when you’re self-employed. This is where The Wright Team comes in. Traditional Big Bank Lenders are primarily concerned that all applicants, including self-employed workers, have the ability to consistently repay the mortgage. They’ll need to see that your income is high enough to pay for the mortgage and likely to continue, and that you have a good track record of repaying your debts. Obtaining a mortgage can be more challenging for self-employed workers because traditional lenders consider the stability and viability of your business along with your income based off your tax returns. According to Fannie Mae, a U.S. government-sponsored enterprise that is a leading source of financing for mortgage lenders, lenders will consider the demand for your business, its location and financial strength, and whether it’s capable of continuing to provide you with enough income to support a mortgage. At the same time, just determining your income may pose more of an obstacle for self-employed workers. These workers often have multiple sources of income that may fluctuate, so documenting income requires more paperwork. Compare that with a traditional borrower who receives a regular paycheck and who has a W-2 tax form, on which an employer reports the employee’s annual wages. A W-2 employee usually sees consistent wages from year to year. If you are a self-employed borrower you are more often to experience fluctuations in annual income, which can make it difficult for traditional mortgage lenders to predict future income. This is where our expertise comes in with custom solutions. Self-employed workers also might write off a significant portion of their income as a business expense, minimizing the size of the mortgage they’re able to obtain. Because mortgage underwriters typically look at income after expenses, your taxable income may be too small to qualify for the mortgage you want. Not here. The Wright Team is the expert in getting you the mortgage you deserve while taking advantage of every write off you can take as a tax advantage. Your income has a major effect on your debt-to-income ratio, or DTI, a significant factor in lending decisions. Lenders need to see that you earn enough income to make mortgage payments along with your other financial obligations. Your debt-to-income ratio is the total of your monthly debt payments divided by your monthly income. For example, if you earn $6,000 each month and expect to owe $2,000 on your car loan, credit cards and proposed mortgage payment, your debt-to-income ratio is 33 percent. Lenders typically look for a debt-to-income ratio of 43 percent or lower, according to the Consumer Financial Protection Bureau. If your debt payments are perceived as unmanageable for your level of income, the lender will not offer you a mortgage, or you may not qualify for the amount you need to purchase a home. Not here. The Wright Team has strategic relationships that they have established that will allow the Self Employed borrower to far exceed 43% DTI. Self-employed borrowers show negative income on their business tax returns. If you are a business owner with consistent deposits but cannot show a tax return with a profit, have no fear, we are here. We make loans every day to business owners who can prove consistent cash flow through their business but otherwise adhere to their CPA’s advice of taking the deductions they are afforded. Whether you are a sole proprietor, S-Corp, C Corp, or Partnership owner we have the solution for you. These borrowers are underserved and can qualify for much larger loans. Our solutions do not require traditional tax returns. Self-employed borrowers with good income and credit should not expect to pay a rate different than what other borrowers do who can provide tax returns, this is where we excel. If you fall into this category or have been turned down for the mortgage that you desire, please contact me for a full evaluation.